The NFL has become corporate in their thinking but have we had two off-seasons where the lead teams in a conference have gone after each other like this?? First, we had Seattle and San Francisco try to one up each other as they fortified their teams throughout the preseason last year. Now this year in the AFC, the Patriots and Broncos have completely raised the bar through the early free agent signing period. Talib joined the Broncos after signing for $57 million. 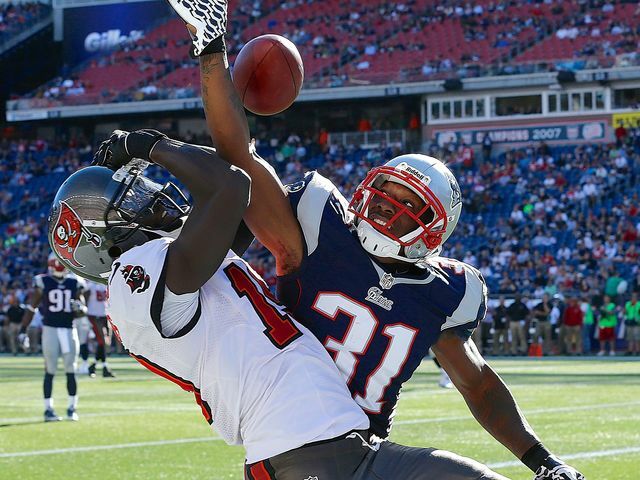 The Broncos struck first when they snatched Pro Bowl corner Aquib Talib who starred last year for the Patriots. Ironically it was Bill Belichick who complained Denver intentionally tried to take him out of last year’s AFC Championship Game. Now they sign him for $57 million?? 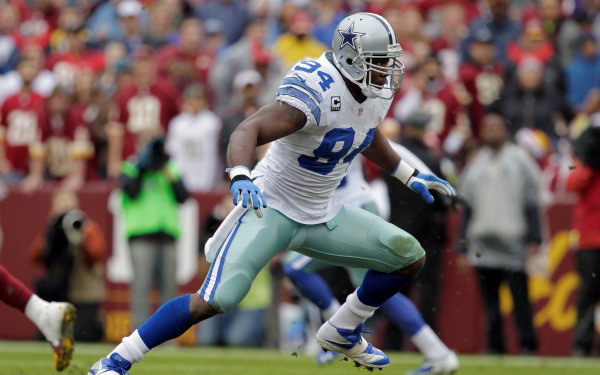 Go with that where you will but then they signed DE/LB DeMarcus Ware to fortify the pass rush. If Ware can show half the skill from his 2008-2010 years, the Broncos could have the league’s best pass rush. No question the Broncos jumped to the early lead in the AFC arms race. Couple these signings with the return and motivation of All Pro Von Miller and this isn’t the defense they sent to Super Bowl XLVIII in New York. The most important factor is Miller is a left side rusher where Ware comes in from the blindside. Neither has to learn to rush from a different stance than they’re used to. With a potent rush, Talib will be able to take away the opponents best receiver. On the east coast the Patriots recovered from the loss of Talib with the signing of Darelle Revis. Why didn’t they just keep Talib?? 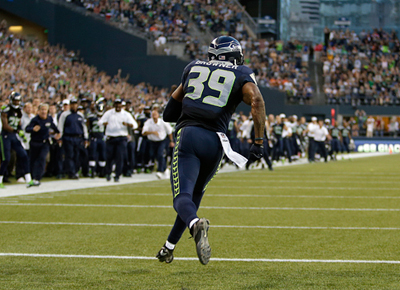 Well they also struck gold with the signing of former Seahawk CB Brandon Browner. Knowing they eventually will have to stop the Broncos potent offense, these two signings go a long way in achieving that. Now that WR Eric Decker has signed with the Jets this will be easier to accomplish. The key for Denver could be signing pro bowl safety TJ Ward. Up until these signings it seemed the Broncos had the leg up on their AFC counterparts. The Patriots are on the verge of signing wideout Brandon Lafell formerly of Carolina. The glaring weakness that the Patriots were forced to face in the AFC Championship Game is they need bigger receivers. If it weren’t for cap penalties the right thing to do is cut Amendola and sign another big receiver. Former Titan Kenny Britt is scheduled to visit New England today. Now that RB Knowshon Moreno isn’t really getting the free agency attention he sought, he may come back into the fold. The one signing that has gone under the radar is Denver signing former Cleveland Brown SS TJ Ward. He can bring the thunder in the secondary and create a more aggressive culture within the defense. The 6’4 Browner matches well with Denver’s big receivers. 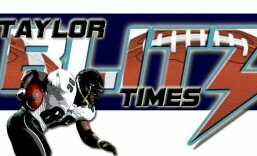 We are being flashed back to the San Francisco 49ers and Dallas Cowboys in the 1990s. These two know they are competing with each other while being head and shoulders above everyone else in the conference. The Bengals haven’t proved they can win the big game. Indy is coming on but might be a year away. Pittsburgh and Baltimore have fallen a few steps beneath these two and every move is to one up the other. Now we look toward the draft to see where these two will go. Each lost a young linebacker as former Patriot Brandon Spikes signed with Buffalo. Wesley Woodyard signed with Tennessee. Time to watch who the Patriots get for Tom Brady the rest of this offseason. They need some size at receiver. As for Denver, they filled all of their defensive weaknesses. Barring injury this should be a better Bronco team than last year’s Super Bowl unit. However with one or two more moves there will be a Patriot team waiting for them in the AFC Championship Game. This entry was posted in 2014 Team Previews and tagged Aquib Talib, Brandon Browner, DeMarcus Ware, Denver Broncos, football, new england patriots, NFL Free Agency, NFL Players. Bookmark the permalink.